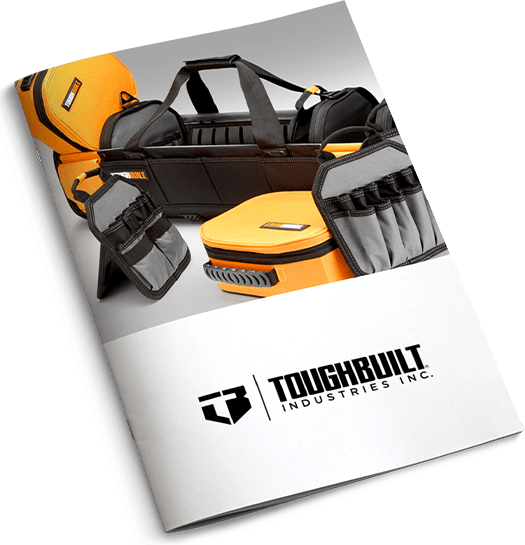 ToughBuilt is a leading designer, manufacturer and distributor of innovative tools and accessories to the building industry. We market and distribute various home improvement and construction product lines for both the professional and DIY markets under the TOUGHBUILT® brand name, within the global multibillion dollar per year tool market industry. All of our products are designed by our in house design team. Since launching product sales in 2013, we have experienced significant annual sales growth from approximately $1,000,000 in 2013 to over $14,000,000 in 2017. Our current product line includes three major categories related to this field, with several additional categories in various stages of development, consisting of Soft Goods & Kneepads and Sawhorses & Work Products. Our mission is to provide products to the building and home improvement communities that are innovative, of superior quality derived in part from enlightened creativity for our end users while enhancing performance, improving well-being and building high brand loyalty.